When I finally managed to get both a CableCARD tuner and a Blu-ray drive in the same media-center PC, I though I'd achieved home-theater nirvana. Everything I needed in one compact case! And for a while there, it was indeed pretty sweet. But thanks to the evils of DRM, Blu-ray movies increasingly refused to play (especially new releases). Some discs wouldn't load at all. Others would play, but without sound. And on some infuriating occasions, we'd sit through all the unskippable previews, warnings, and menus, only to hit a brick wall when the actual movie was supposed to start. It just wasn't fair--especially to my kids. Over at Lifehacker, there's a great tutorial on how to play Blu-ray discs on your computer. It doesn't solve any of the aforementioned problems, but it does offer a workaround: rip the disc to your hard drive, then watch the movie. This takes about an hour (not half an hour, as the author suggests), so you'll need to plan ahead. The program that makes this possible is MakeMKV, the Windows version of which is free (and fully functional) for 30 days, then $50 if you decide to buy a license (which is necessary to continue ripping Blu-rays). You'll also need VLC, a video player that supports the MKV format, which is what MakeMKV produces. I recommend reading the online help guide before proceeding. Also, make sure you have storage to spare. 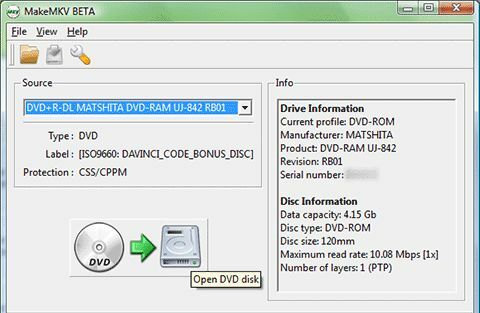 If you rip the entire disc, it could consume as much as 50GB of space on your hard drive. The movie all by itself might be 20-30GB. Such is the price of that glorious 1,920 by 1,080 resolution. All I know is, I'm fed up with the hassles of trying to watch Blu-ray movies on my PC. This workaround is a hassle as well, but at least it works.